1 of 3 Heat oven to 350 degrees F. Coat a 13 x 9 x 2-inch baking pan with nonstick cooking spray. In a large bowl, combine cake mix, 1 1/3 cups water, eggs and oil. Prepare according to package directions. Pour into prepared pan; bake at 350 degrees for 32 to 35 minutes. Cool completely in pan on a wire rack. 2 of 3 Finely crumble cake into a large bowl. 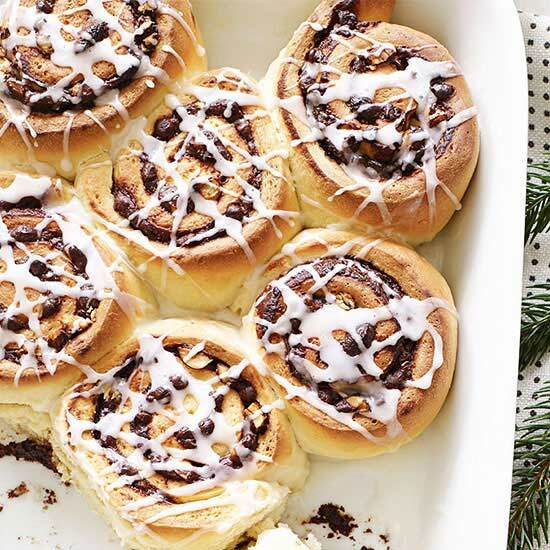 Stir in frosting and press together with the back of a spoon. Shape mixture into 1-1/4-inch balls and place on a baking sheet. Refrigerate for 2 hours or freeze for 20 minutes. 3 of 3 Once cake balls are chilled, melt candy according to package directions, adding peppermint oil to white candy disks. Remove a few balls from the refrigerator or freezer. Dip a lollipop stick about 1/2 inch into melted candy. 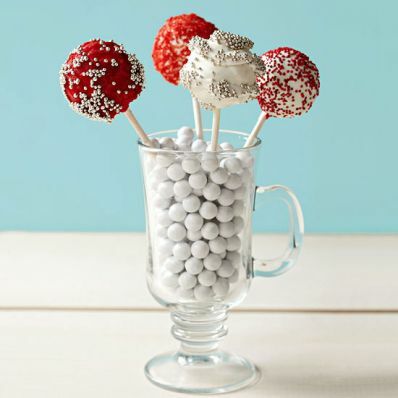 Press a cake ball onto stick, being careful not to press stick too far. Dip ball into desired coating and gently tap so that excess coating drips back into bowl. Garnish with red drizzle, holiday decorations, nonpareils or colored sugar. Transfer decorated pops to a parchment or wax paper-lined sheet. Repeat, reheating candy melts as needed. Refrigerate for 30 minutes, then store at room temperature up to 2 weeks. Per Serving: 0 null Mark as Free Exchange, 0 g fiber, 122 mg sodium, 9 mg chol., 7 g Fat, total, 3 g sat. fat, 142 kcal cal., 17 g carb., 2 g pro.